The is a unique place for Healing and Remembering Who you Really are! Here is a nice article on how it all works! At the Loft you can have a Healing Bath of Tones and Chimes with Guided Visualization for the deepest relaxation and de-stress. Or perhaps you would like to take a look at your systems and make some real changes in your life….understanding the harmonics of your body? 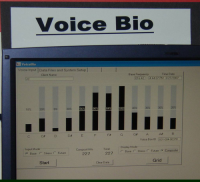 the Portacle and the Voice Bio Computerized Systems. “I don’t have the words to express my joy for meeting you and having experienced your amazing voice and voice-bio session a week and half ago. I have been using the corresponding notes of my tuning forks on particular immune points, as well at around my throat and heart, and toning as well. I had an incredible emotional breakthrough with my husband the following weekend when we went away for a night– my heart had cracked open and much love and re-connection occurred for us. The Portacle Voice Computerized system shows the harmonics in action as you speak or hum…It’s an interactive program that feeds back into your body the harmonics you are missing to actually manifest what you are saying you want!! Brilliantworld and we can measure just how you really are feeling, and thinking against what you THINK you are communicating!!! Often there is a disconnect and you then create mis-alignment. Because other people hear exactly what you are feeling, your fears and your expectation of defeat, etc, even if your words are upbeat and inspiring. The vibrations are living in your body for all that you are and your Voice expresses this….always. The Portacle SHOWs you your Voice in Action and then has interactive frequencies to re-balance your field so that your speaking lines up with your intention. When you reach 100 percent Dominant field, people trust you, you can manifest! The Portacle is a system on the Computer created by Don Estes and I can provide you a Portacle Session. They are at least one hour in duration at $80 per hour and are in person. Imagine and then Manifest is the natural flow of creation. But we humans have many ways to interrupt this cycle, and the resistant harmonics can be tracked and resolved through our voice!! This new technology is astounding. 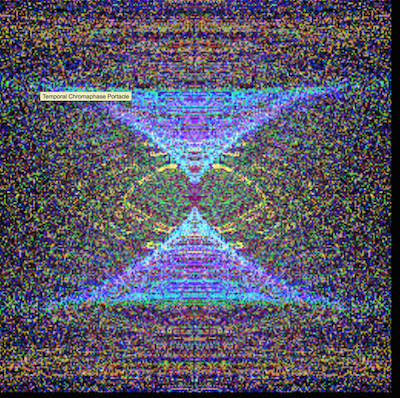 The Portacle was developed by Don Estes and is a computerized program that re-patterns your system for green light alignment.